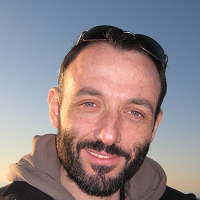 Mauro is a Solution Architect in Particular Software, the makers of NServiceBus, and longtime Microsoft MVP. He spends his time helping developer building better .NET systems leveraging Service Oriented Architecture (SOA) principles and message based architectures. When he is not busy with distributed systems he loves to go back to one of his first loves: rich client development using XAML based technologies. Mauro usually writes about technology, but not only, on his blog at //milestone.topics.it. He is also passionate about skiing, classical dance and music, in general.